Inspire children….because you have no idea what they are truly capable of. [dropcap2]1[/dropcap2]Aspire is a FaHCSIA and NDIS accredited Early Intervention Service Provider. Families can access our Early Intervention services through both of these schemes if you already have your approval in place. 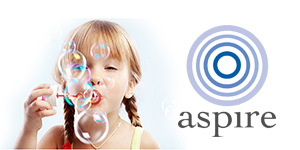 [dropcap2]2[/dropcap2]Aspire provides Early Intervention services for children from the ages of twelve months to ten years of age. Our programs are guided by evidence-based contemporary Applied Behavioural Analysis techniques. [dropcap2]3[/dropcap2]Has your child just been diagnosed? Are you concerned about the financial implications this may have on your family. Don’t panic, there are many funding options available dependent on your family’s state of residence. [dropcap2]4[/dropcap2]Aspire offers training to become an accredited Registered Behaviour Technician with the Behaviour Analyst Certification Board. We are always looking for experienced and dedicated therapists to join our team!